GET READY TO PARTY NON-STOP!! Abode and Do Not Sleep join forces taking over Thursday nights at Amnesia and the hype is HUGE. The perfect party combo with off the scale line ups guaranteed to keep clubbers on the dancefloor stomping until sunrise. 2018 line ups include Cassy, Martin Buttrich, Josh Wink, wAFF, Alan Fitzpatrick, Darius Syrossian, Guti, Steve Lawler, Nic Fancuilli, Erick Morillo, Solardo, Skream, Heidi, Yousef, Amine Edge & Dance + more more more. 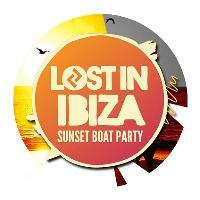 2014 © Lost In Ibiza // Lost Promotions // All rights reserved.